So I racked the purple starthistle batch and it is pretty heavenly. Strangely not very dry, but it goes down very smooth and the raisins added a very nice kind of fruity/floral undertone to the batch, and the natural flavor of the honey really comes through. However, while racking it, what do I find in the bucket? The stirring spoon! 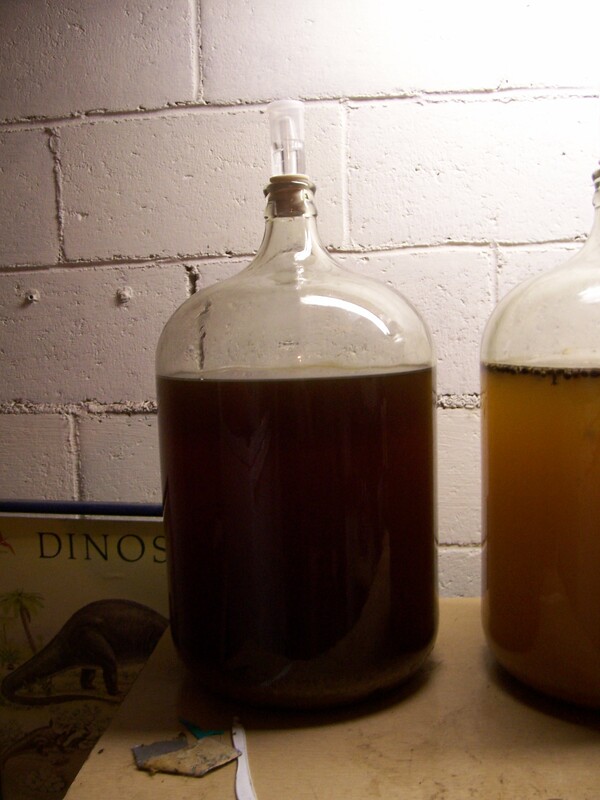 Whoops, I plan to re-name this batch the “Spoon Mead”. Did I mention that it is delicious? 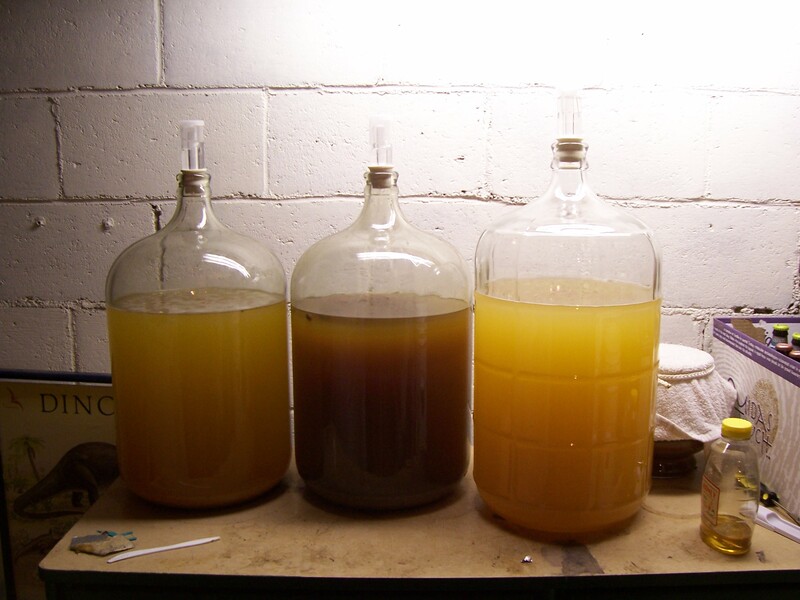 Anyway, here is a picture of the three meads that I currently have, the Tgiving Mead #2 on the left (just added potassium sorbate today), the cyser in the middle, and the Spoon Mead on the right. 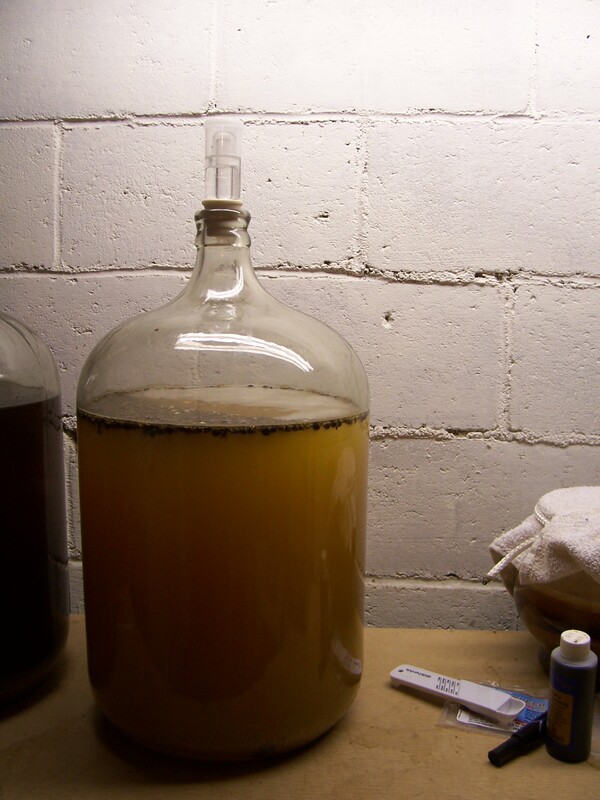 Okay, I don’t want to overload all of the mead-ia (that’s a terrible pun I just thought of, and you can blame the mead) in one post, but I did take some video and pictures of my mead in progress and I thought I’d go ahead and post the pictures so you can see it a little how it works. Note, this post is also the first post to have media in it, so bear with me as I get used to how wordpress handles it. My next post should hopefully have some youtube videos. Going back to my habit of re-trying old recipes, I’m trying out Thanksgiving mead again (hopefully in time for Christmas, at least) using some cheap-o Argentinian or whatever clover honey that I picked up at Costco. Very straightforward recipe, but as opposed to last time I tried Tgiving mead, I’m going to lay off so much of the spices, keep it a little toned down. Potentially rack onto some oranges/lemons to give it a bit of citrus to complement the spices.